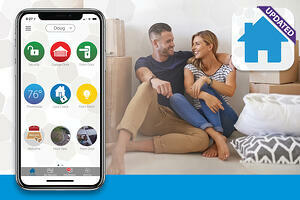 The new ClareHome App update introduces a completely redesigned lower menu bar, door lock PIN code management, and several bug fixes and performance optimizations. Read below to learn more about each one of these new features. The bottom menu bar has been redesigned to show text under the quick access buttons, as well as a new color scheme that helps the buttons stand out. You can manage your door lock PIN code. Simply open your menu, tap Add/Edit Devices, and select your door lock. Easily add, edit, or clear all user PIN codes from this menu. The new update introduces several bug fixes that have been reported by our users, and includes performance optimizations. Expand your home with our range of easy, DIY devices from MyClareHome. Unleash your creativity and bring your home to life.